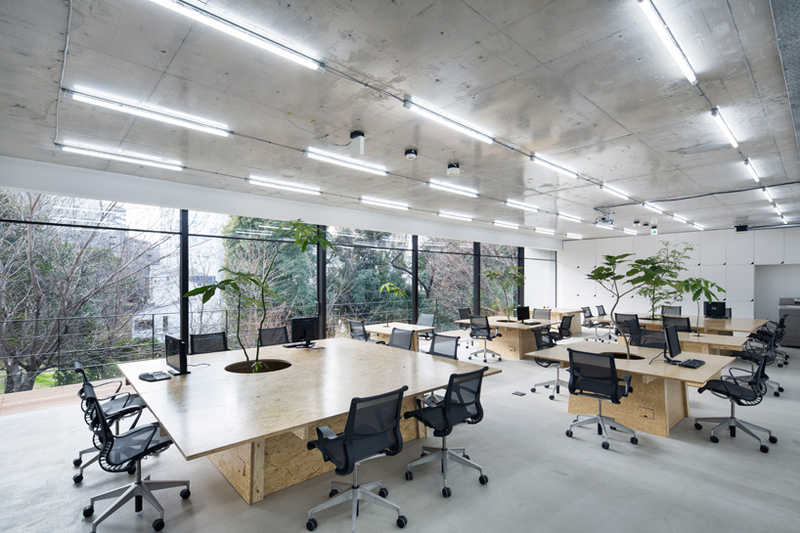 the open plan office space features a series of OSB-fabricated desks, and at the center of each workspace a circular hole has been cut out for a plant to emerge. 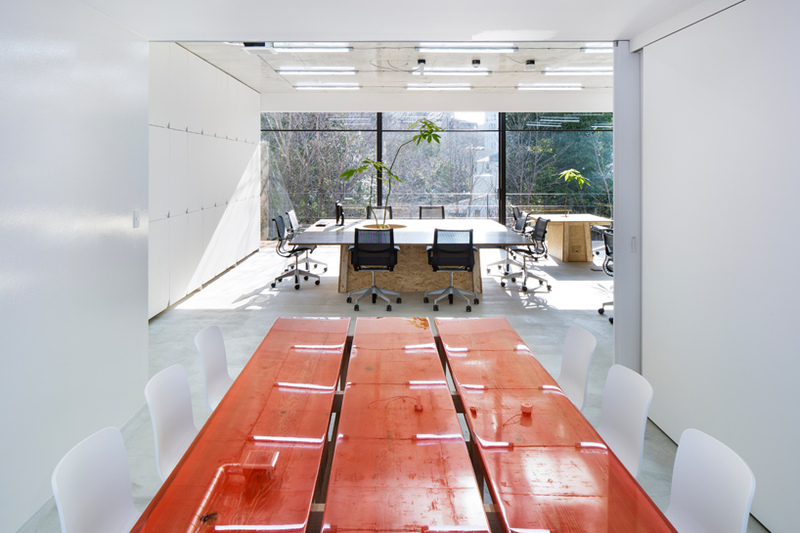 overlooking a public park in aoyama, central tokyo, jo nagasaka / schemata architects have realized a shop and office space comprised across two floors. 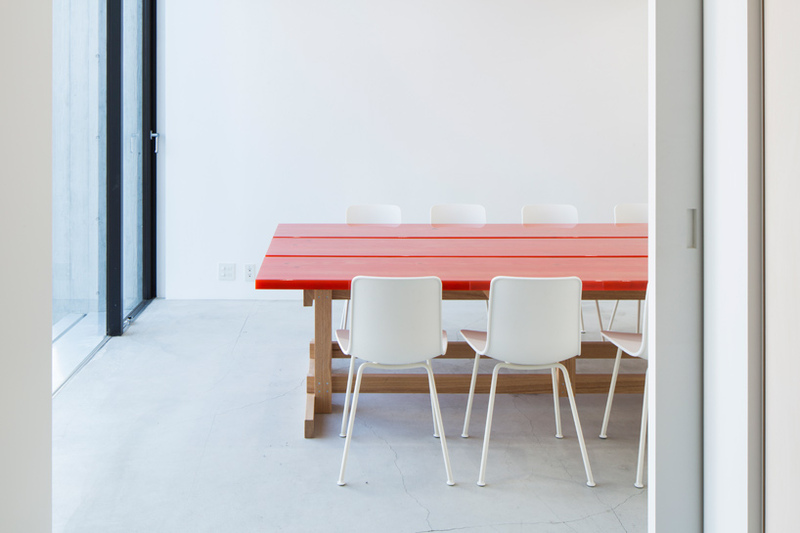 the ‘nakagawa masashichi shoten omotesando’ explores a ‘shop-in-shop’ concept and during its development, the design team opted to minimize the amount of infill construction. 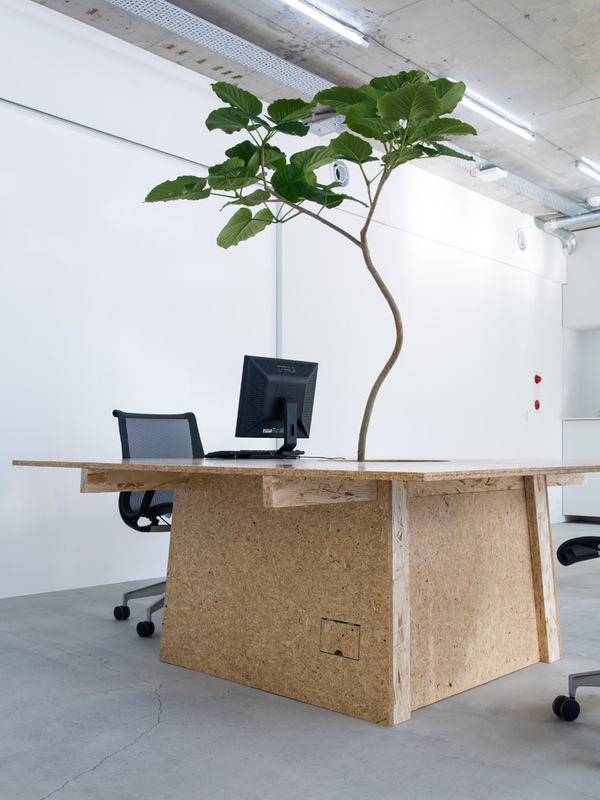 the resulting office space is kept simple and minimal. taking advantage of its leafy location, the interior uses bespoke furniture to define its character. 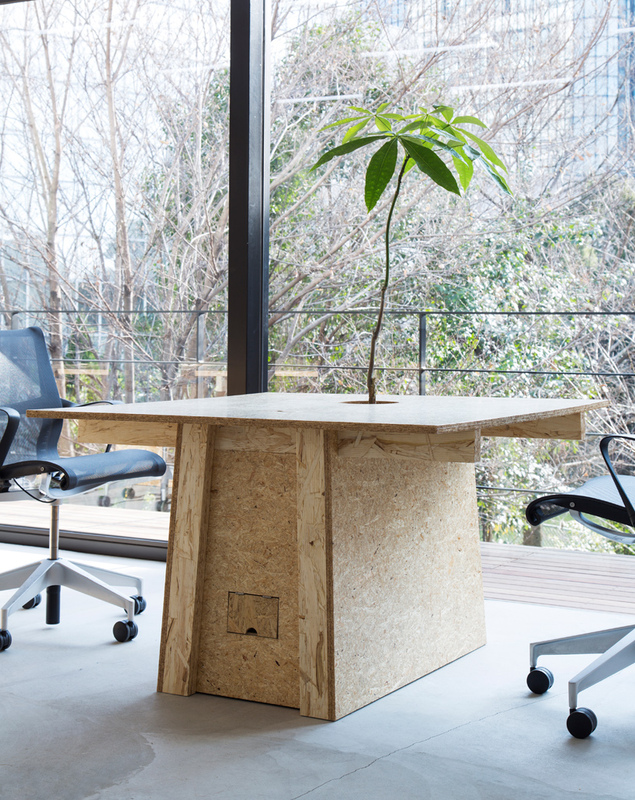 the open plan office space features a series of OSB-fabricated desks, and at the center of each workspace a circular hole has been cut out for a plant to emerge. 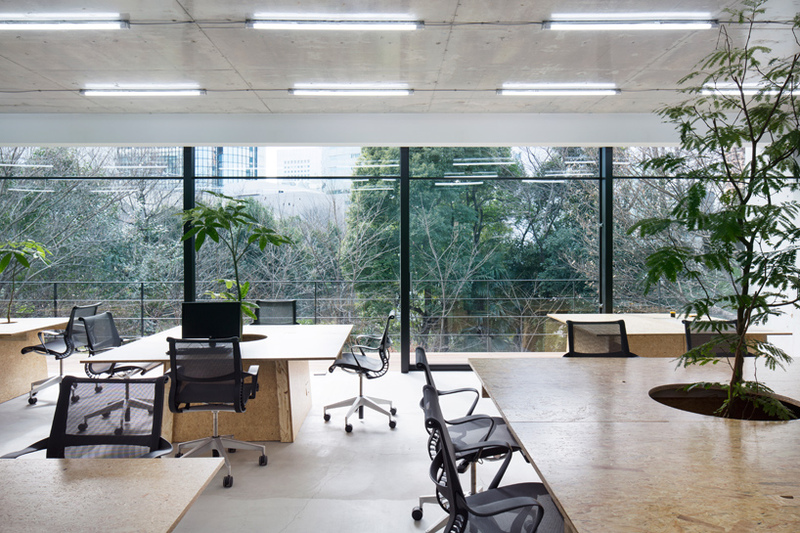 this simple yet playful detail complements the office’s parkland landscape and highlights the traditional japanese gardening concept of the ‘borrowed scenery’. by integrating plants into the furniture and using the surrounding natural scenery as the backdrop, this adds warmth to the otherwise cold, concrete setting.